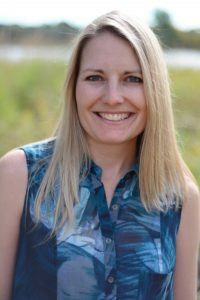 Melanie Wigg is the Director of Next Generation Engagement for Be In Christ Church of Canada, and in her role, leads the FLOW Internship Program. She loves to empower others to grow in their gifts and take risks of faith. She has also served as a worship pastor for many years, and enjoys playing the guitar and writing music. She and her husband Dave are parents to three awesome teenagers. Who is Be In Christ Church of Canada and why are they doing this? Be In Christ Church of Canada is a small denomination with a big heart to get behind a new wave of young leaders. This is our fifth summer directing the FLOW Internship Program. Over the past 4 summers we've developed 40 young Christian leaders who have served in our churches throughout southern Ontario, as well as our denominational camp, Camp Kahquah. The Be In Christ Church of Canada (BIC) is a family of churches. We look a little different from each other, but we are united by our love of Jesus, love of each other and our common vision. Through our different expressions of faith – Community Churches, The Meeting House, and The Network – we are reaching out in our communities to introduce new people to Jesus, show his compassion and build his church. In pursuit of our purpose, we are committed to developing transformational leaders. The FLOW Internship Program is a key part of this commitment.